Jack McKernon of Rochester, Vt., passed away on May 27, 2015, at age 79. Jack was born in New York City on Dec. 24, 1935. He attended The Gunnery School, Dean Junior College and New York University. He served in the United States Army in Stuttgart, Germany. Jack lived in New Canaan and Salisbury, Conn., and several towns in Vermont (including Brandon) before ultimately settling in Rochester. He worked for American Brass (Anaconda Copper), Pan American World Airways, the McTerry Corporation, Urethane Foam Operations, Inc., and most recently, The McKernon Group, Inc., retiring in August 2011. He was also a rated commercial pilot and published a book on his approach to building the perfect home. 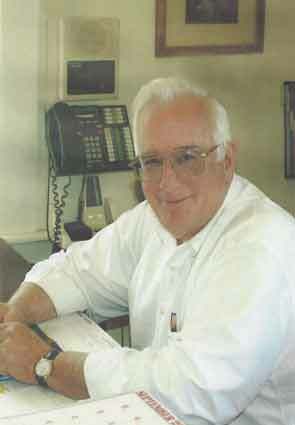 Jack worked in the construction business for 60 years, culminating in his position as president and CEO of The McKernon Group, a successful design-build firm based in Brandon, Vt. As a businessman, Jack connected with all kinds of people, from his customers to the “new kid” at his various endeavors, securing long-term friendships in the process. Jack was very traditional in many ways. He loved and valued his family. He believed in serving for the greater good and was involved through the years in many leadership and volunteer positions. He served as town manager in Cavendish, Vt., and as selectman in Sudbury and Brandon. Jack was extremely generous and offered financial support to all kinds of people and causes. He took great pride in providing opportunities to those who were less fortunate. Over the years, Jack and his family traveled through Europe, drove the entire Pan-American Highway to Panama, lived in Medellin, Colombia, and owned property on Roatan Island in Honduras. Together with his family and friends, he built a camp on Red Lake inUpper New York State, where they spent many summers without running water or electricity. Most recently, Jack enjoyed traveling to Ireland and New Zealand and spending weeks in the fall on Deer Isle, Maine. Jack was a man who appreciated quality, whether it was the natural environment, a well-built house, a good friend, or a great meal (with butter!). He approached life with a sense of humor that translated to deep relationships with people, success in business, and enjoyment of life. His legacies are his wonderful family and his beautiful, well-structured homes and small businesses that dot the landscapes of Vermont, New York and Connecticut. Jack leaves his former wife and longtime friend, Judith McKernon of Lakeville, Conn.; son John W. McKernon III and wife Steffani Aranas of California; daughter Dr. Wendy L. McKernon and husband Filippo Nardin of Boston, Mass. ; five grandchildren–Ryder and Rhys McKernon and Oliviero, Beniamino and Tobia Nardin; brother James F. McKernon of Claremont, Calif.; and two very special friends who helped him start The McKernon Group, Kevin Birchmore and Kandie Marcoux of Vermont. A gathering in celebration of his life will be held at The Brandon Inn on Saturday, June 13, from 5:30 to 8:30 p.m. Stop by for a drink and a meal on Jack. Please RSVP to Judy McKernon at: judymckernon@gmail.com, or (860)435-4809. Memorial gifts, in lieu of flowers, may be made in his memory to: The Brandon Town Hall Restoration Fund, c/o Dennis Marden,P.O. Box 182, Brandon, VT 05733.